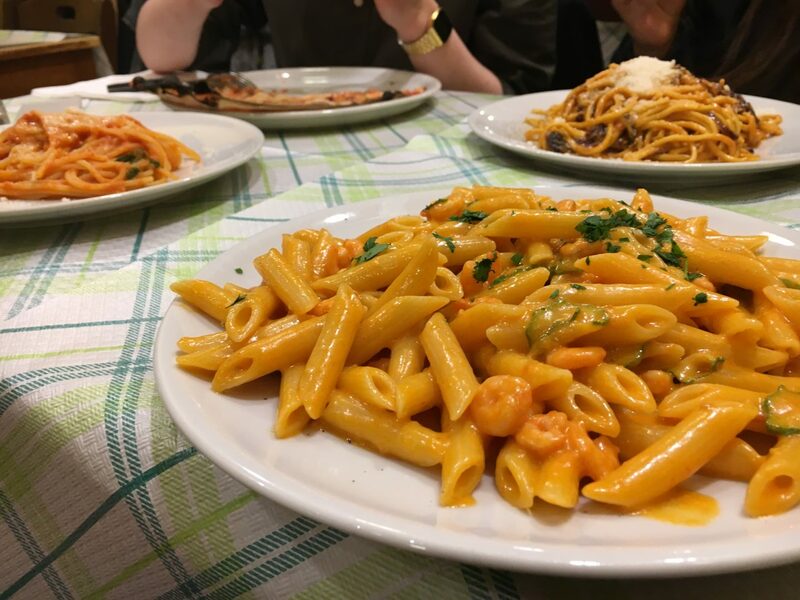 Italy is known for its amazing food – however tourist always seem to get trapped in tourist trap restaurants and miss out on an authentic Italian experience. Here’s my foodie’s guide to Italian, which will ensure you get an authentic Italian experience. First and foremost… NO PHOTOS! If you’re going to a restaurant and outside you see photos of the food and the menu itself is covered in photos, it’s not going the best place to eat. Not to discredit their food or restaurant, but if you want authentic Italian cuisine that is not where you want to be eating from. They obviously have photos of food to attract tourists and to show tourist what the dishes are. Think.. the only restaurants you eat at in your home city that are full of pictures are probably fast food restaurants. A menu with Italian, English, French, Chinese, German.. handy right? Hmm… not quite. If a menu has languages other than English and Italian, it is catering to TOURISTS! That’s not a terrible thing, but again – the restaurant is not where locals eat and you won’t get authentic Italian experience. Chances are they have adapted the food to suit “foreigner” fantasies and taste buds. Food tours on Italy are amongst the best in the world. Not only because Italian food is amazing, but they are usually done by locals. Your tour guide will know the city pretty well so they will be able to point out great places to eat. 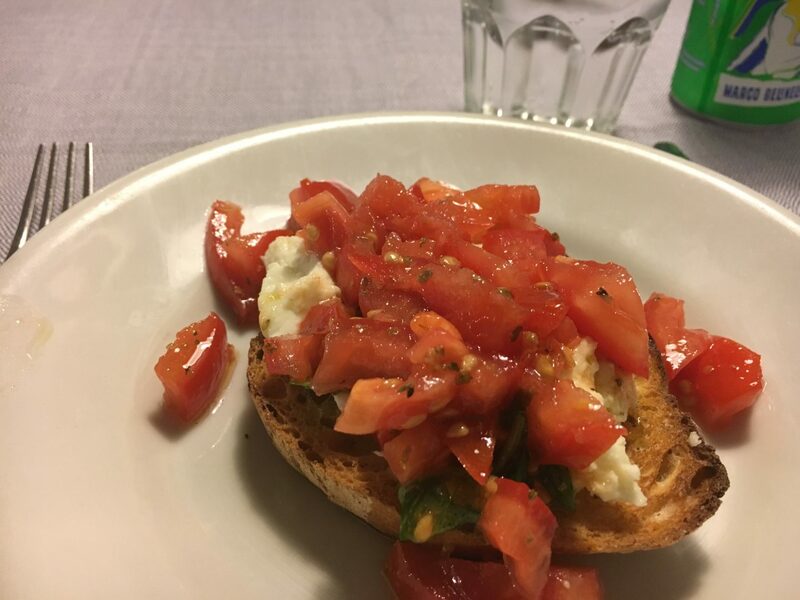 I went on an amazing food tour in Rome with The Roman Guy, we ate so well and LOCAL – read here. 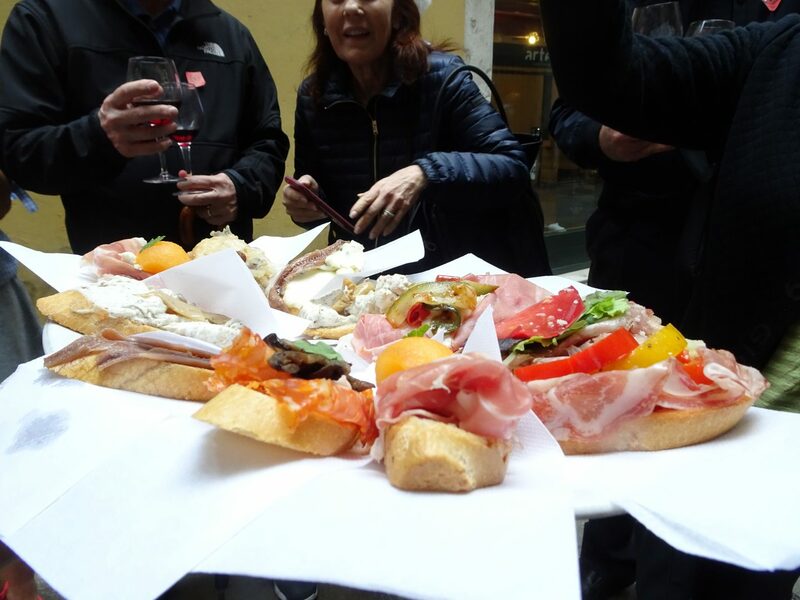 While in Venice, I went on a food tour with Walks of Italy on my last day, however, I would highly recommend that people go on a food tour on one of their first days as they will be well informed of the best places to eat. Walks of Italy food tour – here. Little tip, most places on the main/ busy streets will be more expensive as they have the foot traffic walking past. Whereas restaurants that are found around corners and in the back streets do not always have the footfall and so are sometimes cheaper. Make sure to look around and not go to the first place you see. Who wouldn’t want to have dinner with a view of the Colosseum? Restaurants that offer a view, although are beautiful are quite pricey too. If you’re on a budget, then maybe a walk by afterwards is better then dining with that scenery. However, if you’re not on a budget and you can afford to spend some extra coins, then it’s definitely a great experience. You’re food might even taste better – haha! 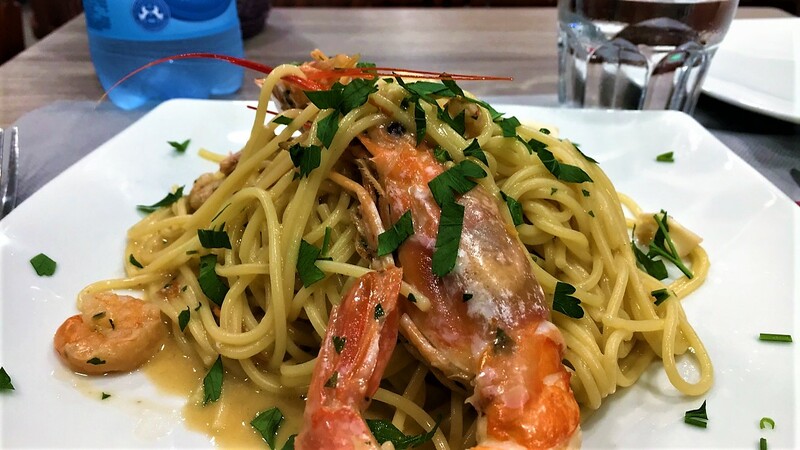 There’s more to Italian food then pizza and pasta, so while in Italy make sure you try it all. One of my favourites is Gnocchi, which are potato dumplings and they have a pasta like texture. They served with pesto, tomato sauces, ragu, cheese or sometimes plain. If you’re in the north of Italy, the Lombardy region then I would definitely try Polenta. Polenta is made from grinding corn into flour and can be cooked to be creamy or set to be solid. There are so many different ways it can be cooked, I’ve had polenta on pizza with meatballs which was so good and I haven’t eaten a pizza that lives up to it since. There are so many different things to try in Italy, look at the menu and pick something you haven’t tried before. Just like the best nachos can be found in Mexico and the best curries in India, within Italy, their are certain foods which come from particular regions in Italy. This is just to name a few, you can always ask locals or the restaurant what that region or city is famous for and they’d be happy to give recommendations. Hope you enjoyed this foodie guide to Italy. 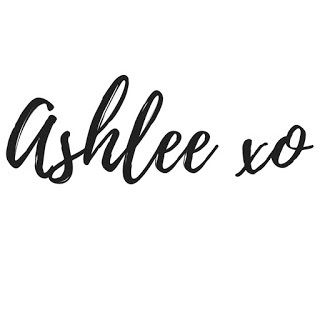 Leave any questions or anything you want to share in the comments. Happy eating!